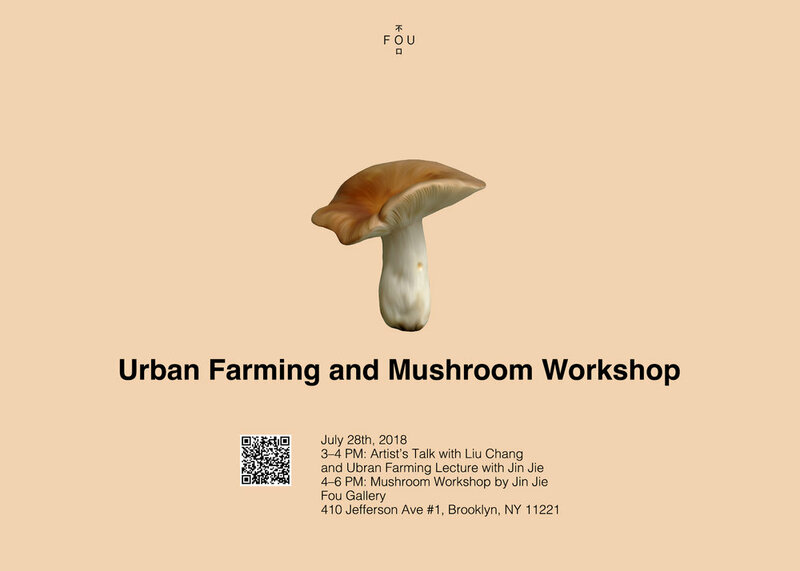 At the very end of July, just right after the opening of our latest exhibition Liu Chang: The Light of Small Things, we welcome you to join us on a special urban farming and mushroom workshop hosted by plant educator Jin Jie, who was invited by artist Liu Chang. In the workshop, the audience can feel closer with nature through hands-on practice. Jin Jie has transformed her basement into a mushroom laboratory, practiced urban farming concepts and focused on consumption and environmental issues for many years. Fou gallery is honored to invite her to bring a unique workshop to us. From phenology in nature, handmade artist books, to computer-generated patterns, Liu's works continuously blur the boundaries of objects. With the advent of the trend of artificial intelligence, Liu is inspired by traditional wisdom inherited from the era of agricultural civilization and uses modern technology as a tool to present her thinking process without persisting in an ultimate answer. The workshop consists of two parts: at 3:00-4:30 pm, the curator Echo He will lead a walk through of Liu Chang's exhibtion. Then Jin Jie will hold an agriculture lecture sharing her experince in organic farming and cultivating edible mushrooms in her basement. At 4:30-6:00 pm, the mushroom workshop will be held in the garden of the gallery. Participants can learn to make mushroom medium and take the breeding base home. Special drinks and afternoon teas will also be served on site. Jin Jie is an interdisciplinary educator focused on ecoliteracy and food systems, and a lifelong student of nature. She is fascinated by fungi intelligence and the organisms’ potentials in healing humans and the planet. Her current work is focused on mushroom cultivation and soil bioremediation. Previously, she created Curiouseed, a newsletter providing bite-sized education on urban agriculture, and AllThingsCooked, a cooking experiment to raise awareness of food waste. Jie is an NYC Master Composter and certified in permaculture design. She has taught classes at NYC Parks and Queens Botanical Garden. Mushroom from Jin Jie's mushroom laboratory in her basement. Liu Chang: The Light of Small Things installation view. Photograph by Peichao Lin. ©Liu Chang, courtesy Fou Gallery.